As you surely know at this point, I am kinda knee-deep in gore with my current writing project. In the same movement that stopped me killing trees and smearing graphite or gel ink all over my hand (yes, I am left-handed; no, I don’t want to learn to contort my hand so that doesn’t happen. Those people are in the same part of their brain as all the right-handers; there are enough of them already). So now I use both hands, and my brain lights up in more places, and we all benefit from that. How do you benefit? Well, that’s what I’m here to tell you! Let’s go back a little bit, so I can explain more throughly. If you’ve been waiting for the last “Walking Between Worlds” book to come out before starting the series, then consider this your official warning. 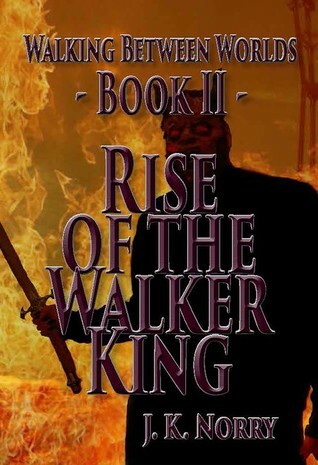 You have two months left to read “Demons & Angels” and “Rise of the Walker King” before “Fall of the Walker King” is released on December 1st. Don’t forget, Kindle Unlimited and Amazon Prime subscribers can read “Demons & Angels” and “Rise of the Walker King” for FREE! 4 Trees and a Smile on My Face.